I am always on the hunt for better personal care products. My preference is to use products that are free from toxins which will not affect my health, now more than ever as I am breastfeeding. Our skin is our largest organ, therefore, what we put on it ultimately goes into our body and I want to make sure that what I am putting on to my skin is just as good as anything I would ingest. That being said, I want natural products that perform well and do what they claim they are supposed to do. While I am not super big into wearing makeup, I do have a certain routine that I follow and a few must have products but, I really am not one to go over the top, I simply want products that work well and won’t have any negative effects. And, as busy mom, I want products that are safe and give an impact with little effort. Recently I discovered Beautycounter, a beauty product/personal care product company with a mission: “To get safer products into the hands of everyone.” Of course, this was something I could get behind and as I learned more, I was really looking forward to trying their products. I was a bit skeptical at first, it was a big promise and many better products I had tried didn’t always live up to what they were supposed to do. But, the more I looked into Beautycounter, the more I was intrigued. Their mission not only includes education about why their products are better but also why it is so important to not include thousands of ingredients that are often lurking in everyday personal care items. At Beautycounter, we’ve banned more than 1,500 ingredients, setting a new health and safety standard— all while ensuring our products perform, and are as indulgent as any luxe shampoo, lipstick, or oil in the market. 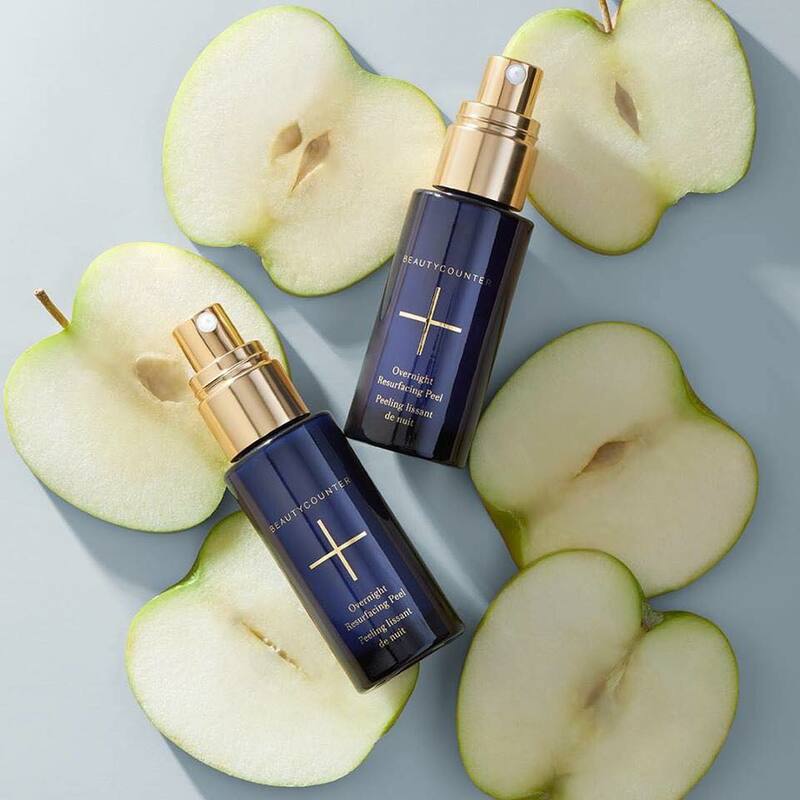 Their website includes an ingredient list as well as a never list of harmful ingredients that will never be included in Beautycounter products. And while Beautycounter is definitely not the most bare-bones natural in regards to ingredients, they definitely offer great products which include much less in the way of harmful ingredients. Good news though, most of their products test fair-good on the EWG’s Skin Deep database. I love the feel and the smell of this cleanser. I like that it is a lightweight cleanser and it really leaves my skin feeling refreshed. It cleanses but is light and watery so it does the job without leaving a residue. I contains witch hazel, coconut oil, and aloe, and seems to be a perfect combination for my skin with ingredients providing cleaning and soothing at the same time. This is on my list of top foundations that I have ever tried. The foundation is light weight, full coverage, and it gives great moisture which can add to that dewy look! I really love the feel of this foundation and it definitely improves the look of my skin. This is like a lipgloss/lipstick. It lasts fairly well and has some shine to it. It also moisturizes your lips which I really like. I am generally more of a matte lipstick person but I like this look for something simple during the day. I like the colour I chose as it’s neutral with a bit of a pinky hue so I think it goes with everything. Beauty counter offers many products including a full line for kids! Check them out!